This week it is Afternoon Tea week. I don’t really think I need an excuse to have afternoon tea but I thought it would be very rude not to help celebrate. 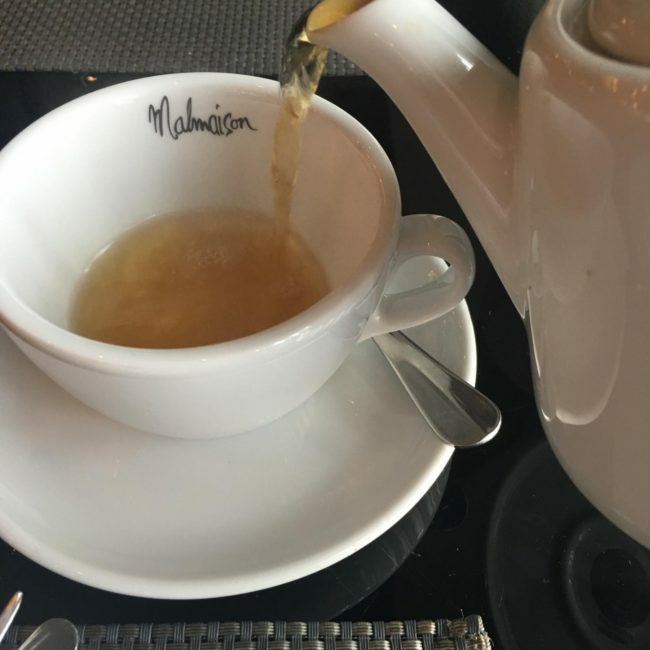 A few weeks ago when I came back from Scotland I went with a lovely friend of mine to Malmaison Hotel in The Mailbox in Birmingham for afternoon tea. we had been wanting to go here for quite sometime and we were not disappointed one bit. The served was English Breakfast tea and was quite light in colour and had a delicate taste. If I’m being honest I would have perhaps liked it a little stronger but this wasn’t a particular issue. A few more loose tea leaves would have been ideal but I do like a strong ‘builders’ tea. 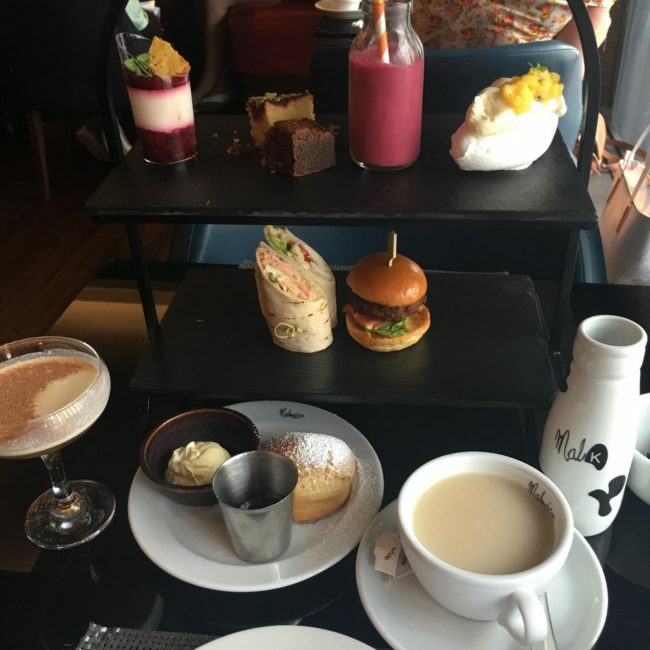 The tea was served on a two tier slate board. I have noticed that quite a few afternoon tea’s now seem to be served upon slate stands as opposed to a traditional crockery plate. 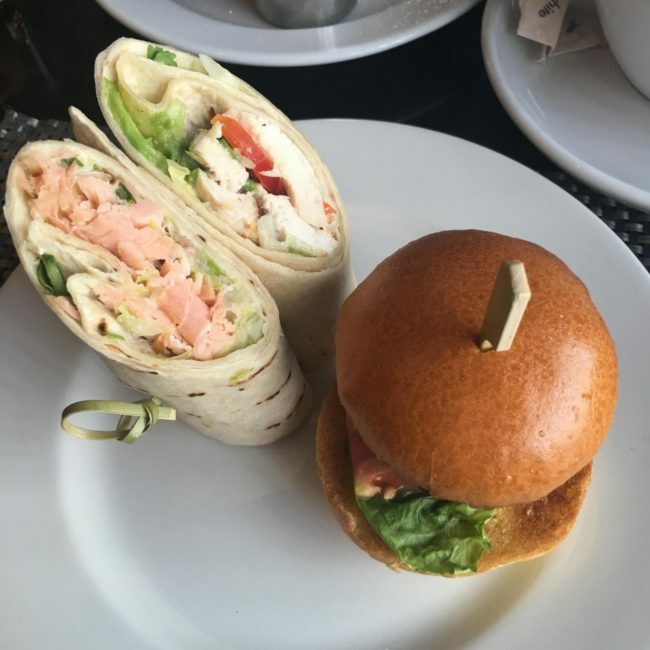 The savory section consisted of a mini burger is a brioche bun and two tortilla wraps; one salmon and the other chicken. All three were delicious and contained a nice amount of filling. We also decided to have cocktails with our afternoon tea and at this point I must admit I was a little disappointed. 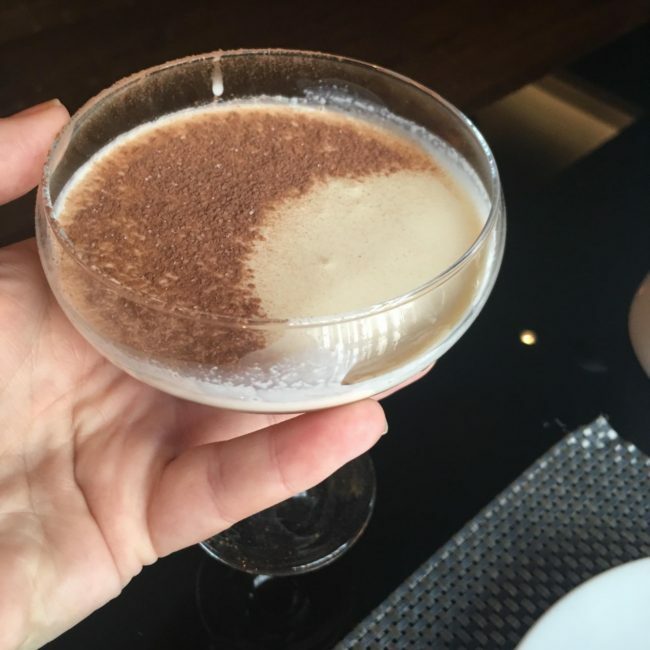 To me cocktails should not taste of alcohol. Sadly my orange brulee did. It was quite a strong alcohol taste and I only had to sips. 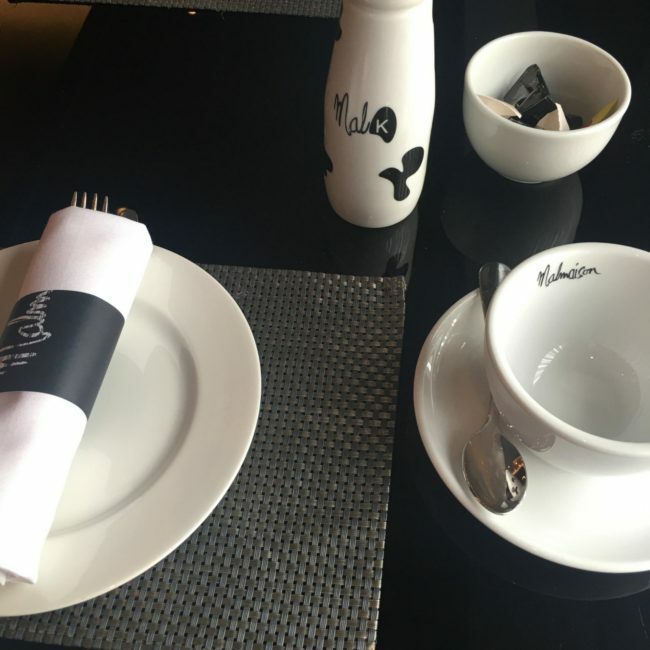 If I was to return to The Malmaison again I don’t think I would have a cocktail next time. Although I didn’t like the cocktail, this is down to personal taste as my friend Helena thoroughly enjoyed the cocktail. In fact she drank mine too! It was quite usual to see that there was only one scone. Usually you would be served a fruit and a plain scone but to be honest the afternoon tea was so filling I really don’t think we would have been able to eat a second scone. 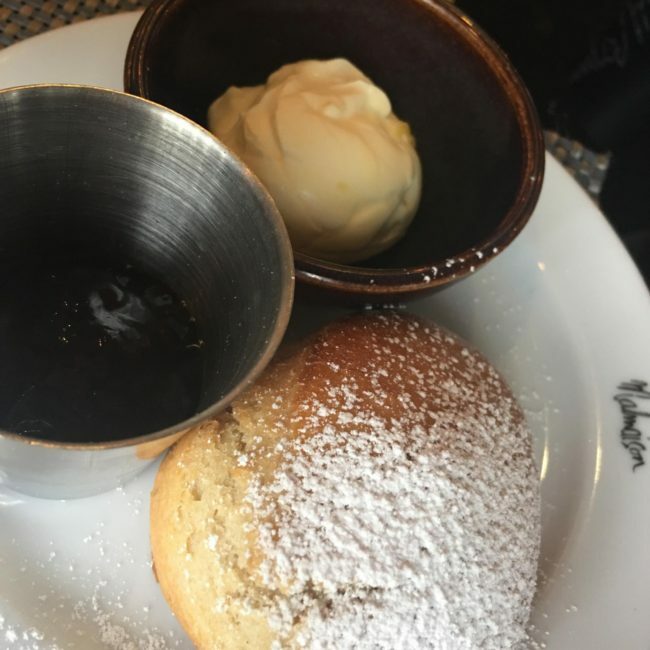 Typically, the scone was served with clotted cream and strawberry jam. 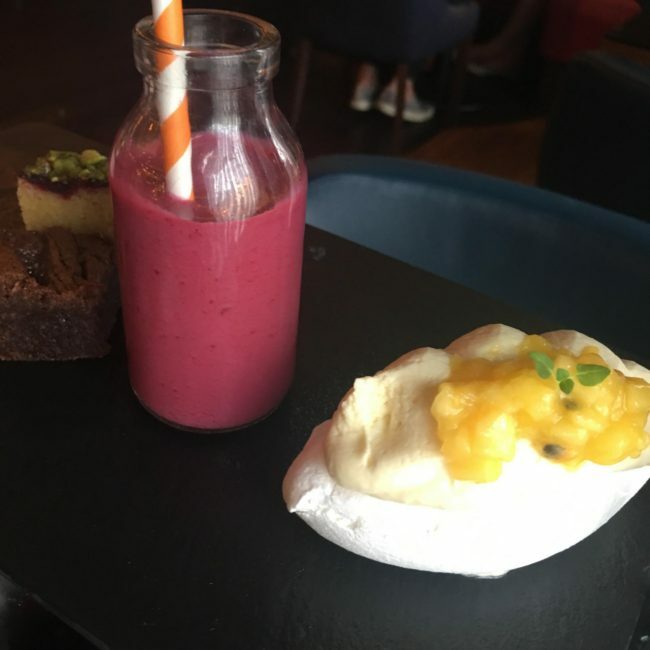 The sweet section of the afternoon tea consisted of a very delicious and tangy berry smoothie, a passion fruit meringue, a chocolate brownie and a pistachio and raspberry bite. The afternoon tea is priced at £25 with a cocktail and without the cocktail a very reasonable £17.50. 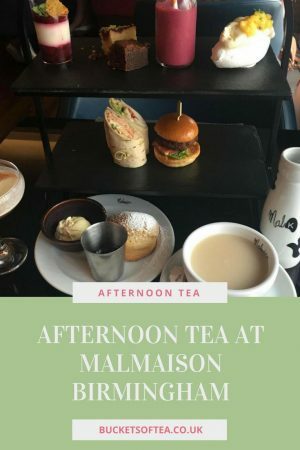 Most afternoon teas are priced in excess of £20 and considering Malmaison is a city centre boutique hotel the afternoon tea was very reasonably priced. Hi, it looks like a nice interesting twist in the traditional afternoon tea. The strength of the tea would be perfect for dairy free me. I’m not sure about having a mini burger and smoothie though. 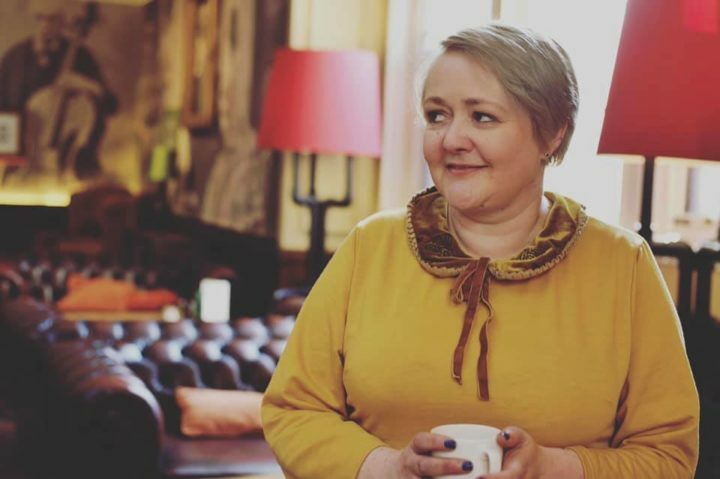 To me it should just be tea, scones and cake, Chloe. Once again, I am loving it!